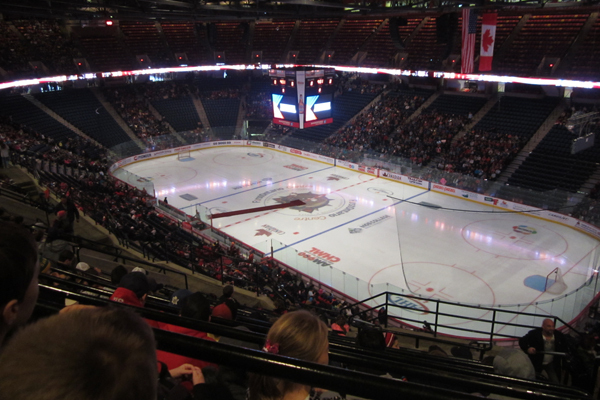 On Tuesday, November 4th, I went to the Hamilton Bulldogs vs. Rochester Americans game with my school. 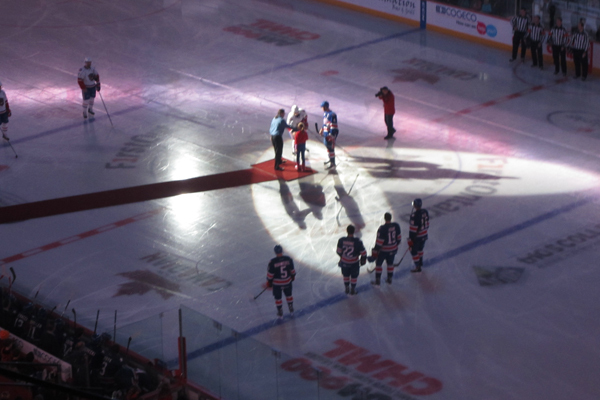 The game was played at The FirstOntario Centre in Hamilton. 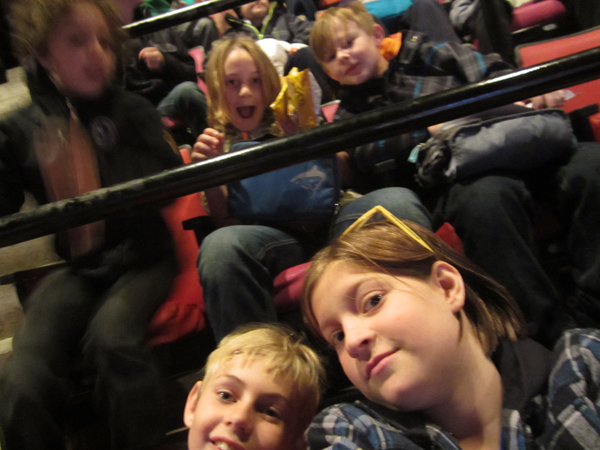 I was at the FirstOntario Centre earlier this year with my family and some of our camping friends to see Monster Jam. We’ve also seen Disney on Ice there, but never a hockey game. The Hamilton Bulldogs are the farm team for the Montreal Canadiens. The Rochester Americans are the farm team for the Buffalo Sabres. As much as I am a Leaf fan, I was still happy to be there. It was my first time going to see a hockey game live. I was seated in section 206, row 12. It was really loud because there was a lot of kids and teachers there, and they were all rooting for the Bulldogs. There were over 13,000 kids and teachers there! It was so loud, because we were cheering the whole time! In the first period, there was a big fight between two of the players. One of the Bulldogs got put in the penalty box, giving the Americans a one-player advantage. Yay for concessions! Boo for long lineups! During the intermission, there was a story read by 10 of the Bulldogs on the jumbo-tron. The story was called “The Hockey Sweater”. After the story was read, I went to the concession stands. The lines at the concession stands were crazy long! I was waiting in line with my friend for almost ten minutes. At least we could see the game on a TV while we were waiting. When we returned to our seats, the game had already started again. The Hamilton Bulldogs mascot Bruiser came up our area. I got to hi-five Bruiser. He was hi-fiving everybody in the aisle! It was so cool to be that close to the mascot of a professional hockey team! The Bulldogs won 6-1! Everyone cheered so loudly! It was great that my first time at a live hockey game, the team we came to cheer for won. It was an amazing experience. I had a lot of fun with my friends. 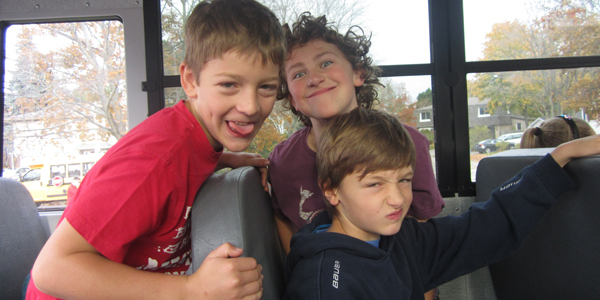 One of the highlights of the day was the bus ride to the game, and back to school. I got to sit at the back of the bus. It means so much to me to sit at the back of the bus, because on my regular morning and afternoon buses, the grade 6, 7’s and 8’s normally sit at the back. It was cool to sit at the back of the bus for a change. 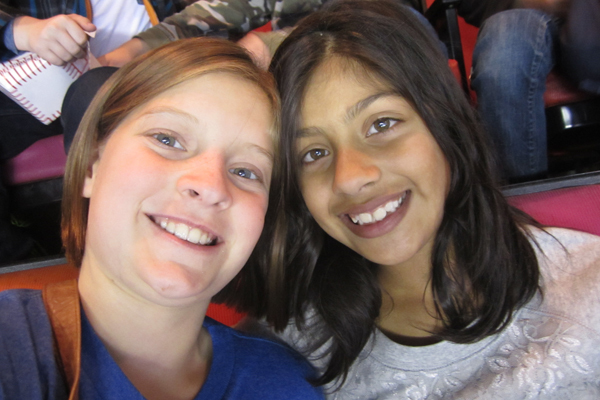 Have you ever been to an AHL game? Tell me who played, and if you had fun. Thanks for stopping by my Daddy’s blog and reading about my school trip! Oh I remember my first hockey game well. 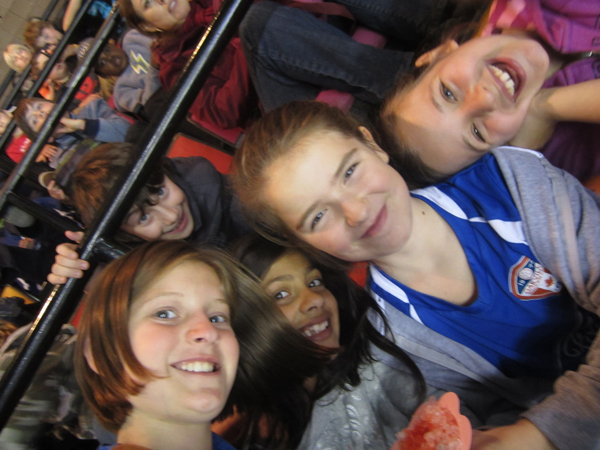 I use to go to a lot of WHL games when I was young and it was so much fun! I love the excitement and enthusiasm of the crowd! You never said – what did you get at the concession? Rink burgers are the best!!! Oh, wow! Great post, Rachel!!! What a well written post! I think your Mom and Dad have to watch out! Soon you’ll be taking over their blogs ;) I love that you mentioned that the Hamilton Bulldogs are the farm team for Montreal Canadiens! Your parents know that I’m a Habs fan. I think they still like me though. Rachel, it sounds like you had a great school trip to see the hockey game. Your story is full of many details, and your photos are fantastic. I like how you wrote about the line up at the concession booth, as it makes your story really come to life. Keep up the great work. AMAZING post! Looks like you’ve got a budding photographer in the family! GREAT job!